Add a groovy element to your decor, and cozy up to the warmth of wool with this Ombre Mongolian fur throw pillow. Bring the fun of vibrant color and the interest of fluffy texture to your living space, and enjoy the feel of luxurious softness when you lean back and rest your head on this throw pillow. 1. 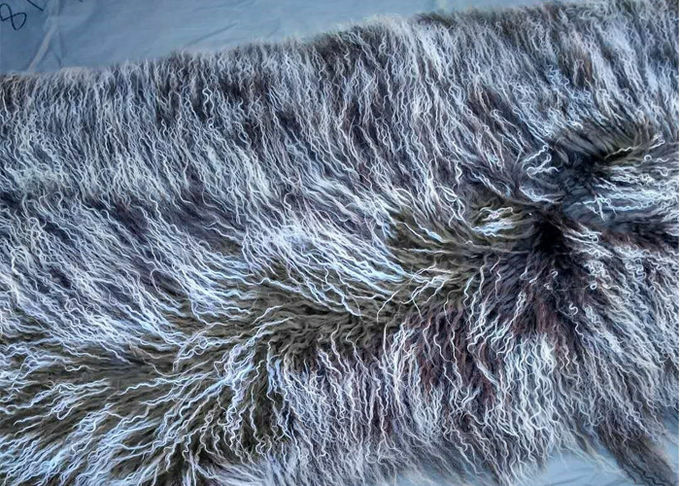 There are a couple of things that set this Tibetan lamb fur pillow apart from all others. 2. 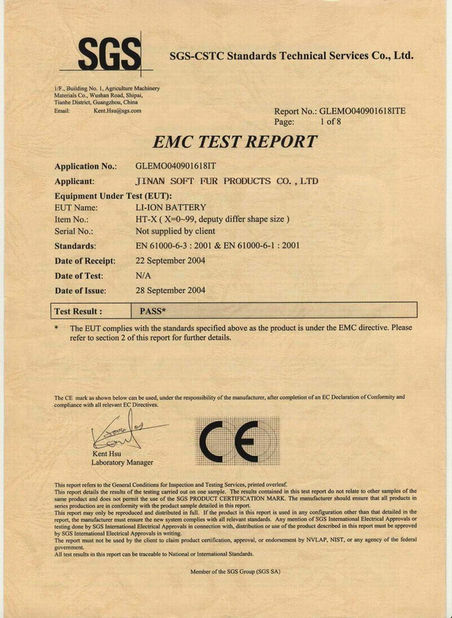 It's luxuriously soft, it's 100% authentic and it's uniquely decorative. 4. the curly fur pillow makes the quintessential throw accent for chic living rooms, swanky sitting rooms or stylishly modernistic master bedrooms. 5. 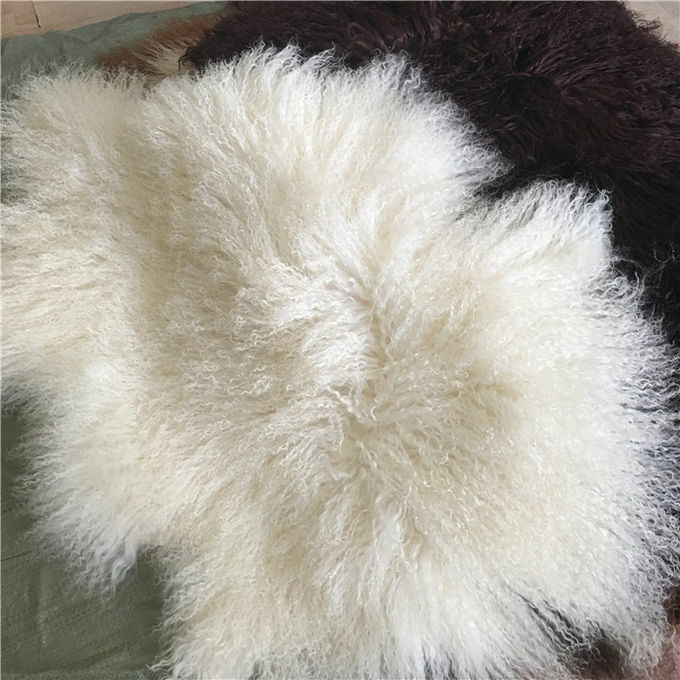 The back of the mongolian sheepskin pillow case has been finished with top quality 100% suede that is silky smooth to the touch and a concealed zipper closure that makes it easy to apply and remove your pillow insert as desired (not included). 1. Color showed in the pictures may be slightly different from the real item due to the camera light reflection, and the shiny fur reflects different colors when it is under different lights, and they looked different in day time and night time too, pls see the difference of the colors showed in pictures we took under different lights.n. 2. 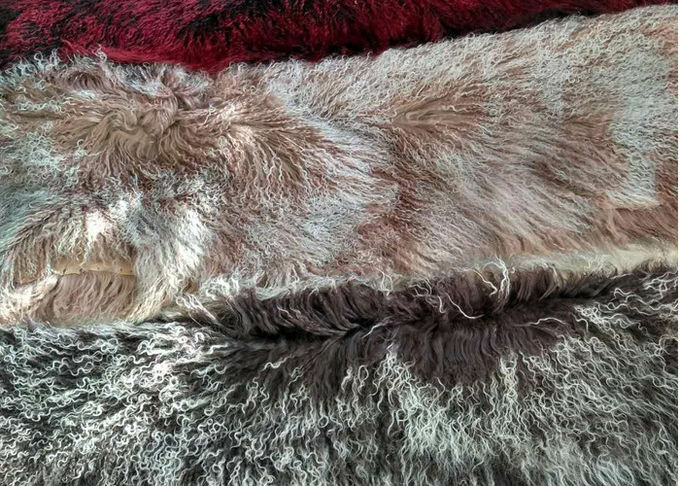 Since these pillow cases are made from original Long curly Mongolian lambskins, the fur length or shape maybe a little bit different or uneven here and there since we don't cut the fur short. Measurement on every pillows may be slightly different because different animals may have different length of fur. Pls understand these imperfections are because of the nature of the animal skin. If perfection is what you concern, pls email and let us know what you need before buying. Thank you! 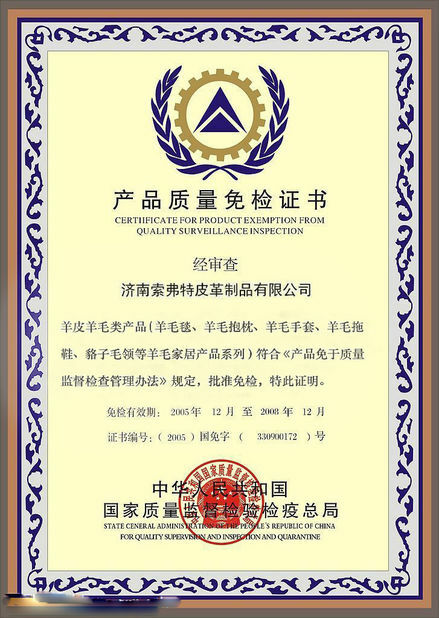 1.Before you put the order, please contact us to confirm if we have stock. 2.This Long hair curly sheep fur pillow cover are mostly hand made so a slight difference in measurements are inevitable. 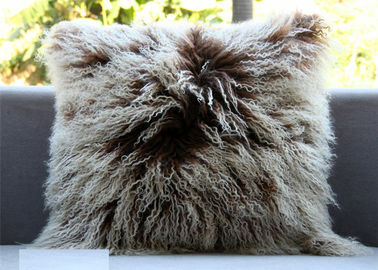 The Tibetan long hair sheepskin pillow has a furry front, with a plain back in a matching solid hue. The feather fill adds extra comfort, and keeps this pillow looking plump, welcoming, and relaxed (not more stiffly filled) on sofas, chairs, or beds.